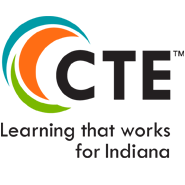 These resources were collected and are provided here to help new and newer CTE teachers make the transition from industry to secondary education. These files were adapted from New CTE Teacher Workbook, developed by the Vigo County School Corporation and supported with funds from the Carl D. Perkins Career and Technical Education Act of 2006, made available through an Indiana Department of Education grant administered by the Indiana Association of Career and Technical Education for use by new and newer CTE teachers. Resources have been contributed by Area CTE Districts from across the state.